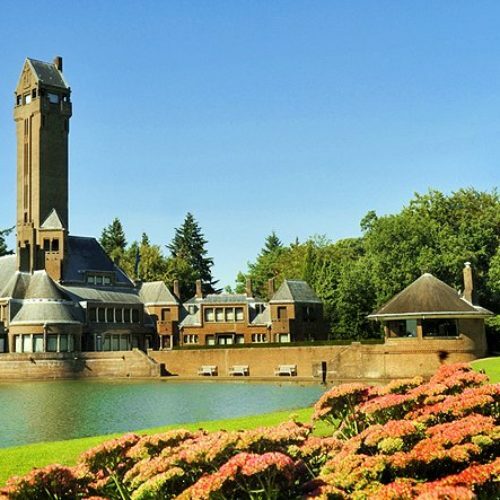 Nature, Art & Culture for Everyone: Located 90 minutes from Amsterdam by car, the De Hoge Veluwe National Park, allows visitors to bike for free in the park and spot wildlife living in the area. Inside the park, you will visit the Kröller-Müller Museum, containing the second-largest Van Gogh collection in the world as well as masterpieces by Claude Monet, Georges Seurat and Pablo Picasso. The museum is in one of the largest sculpture gardens in Europe with over 160 sculptures by iconic artists such as Aristide Maillol, Marta Pan and Pierre Huyghe. Perfect for picnics and family reunions. On the road back to Amsterdam, you can stop at the medieval Muiden Castle and its gardens, restored to look as they did in the 17th century. 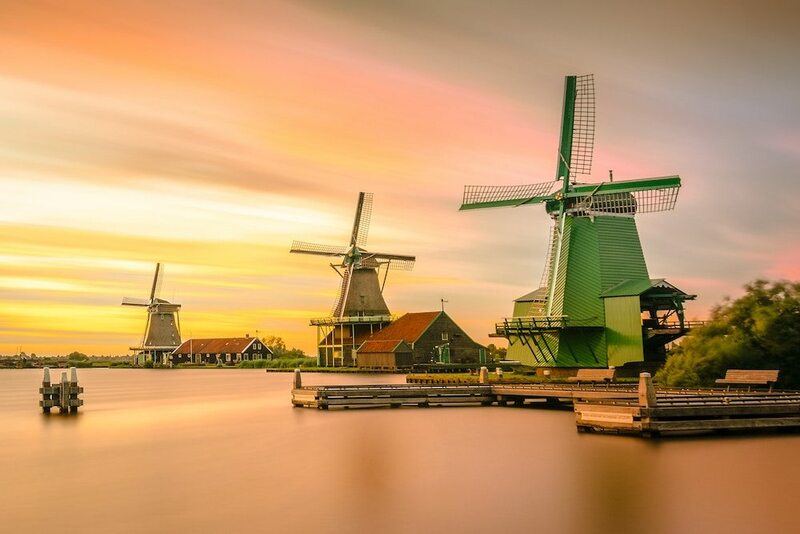 A Discovery Tour of Dutch Traditions: Zaanse Schans, (a short drive from Amsterdam) gives you an idea of how life was like in 17th-18th century Netherlands. The region has a collection of well-preserved historic wooden windmills and authentic traditional houses, cheese farms, a tin factory and several museums. (Once there were more than 600 windmills that were constructed in the 17th century in this region – some of them still exist and and are open to visitors)! The fishing village of Marken features traditional wooden houses built on top of small, artificial hills and poles to avoid the houses flooding. 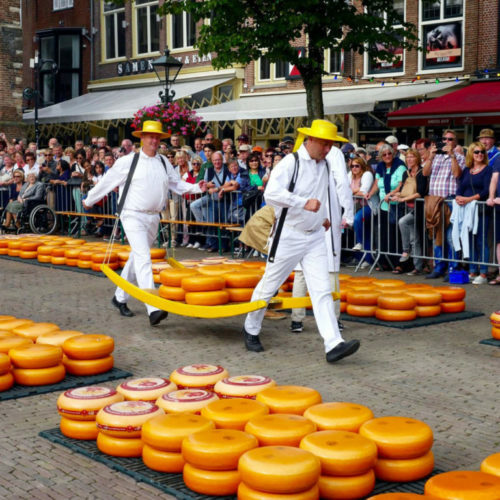 You will also get to visit the town of Edam, famous for the cheese of the same name. (Sometimes, you get to see the enactment of the cheese market, which will show you how cheese was traded in the past). A Day trip to the Hague and Delft : The Hague, which is the third largest city in the Netherlands, is the seat of the Dutch government the International Court of Justice and International Criminal Court. During your trip, you will visit the The Mauritshuis museum, home to the best Dutch paintings from the 17th century – the Golden Age of Dutch art. Masterpieces such as Vermeer’s Girl with a Pearl Earring, The Anatomy Lesson of Dr. Nicolaes Tulp by Rembrandt, The Goldfinch by Fabritius and The Bull by Potter among the museum’s treasures. Thirty minutes from The Hague is the town of Delft, celebrated for its connections to Johannes Vermeer, Delft Blue pottery, and the Royal family. You will visit the Royal Delft Factory, the last remaining Delftware factory from the 17th century, where you will get to see how the famous hand-painted blue patterns of Delft Blue pottery have been created since the 16th century, and admire the painters and craftsmen at work. If you are travelling with children, we will make sure you stop in Madurodam, a theme park filled with miniature trees and flower beds, that tells the history of the Netherlands in an informative and enchanting way. A must! A Daytrip to the Hague and Delft : The Hague, which is the third largest city in the Netherlands, is the seat of the Dutch government the International Court of Justice and International Criminal Court. 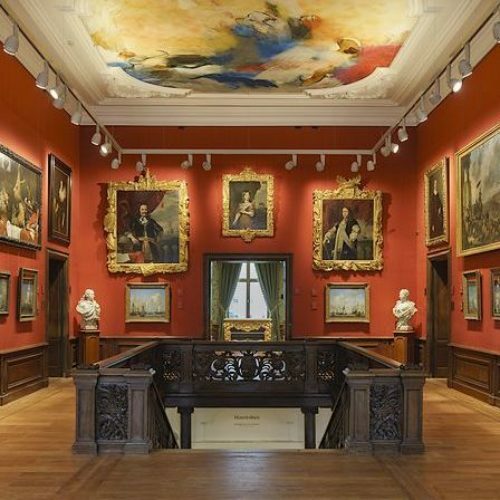 During your trip, you will visit the The Mauritshuis museum, home to the best Dutch paintings from the 17th century – the Golden Age of Dutch art. Masterpieces such as Vermeer’s Girl with a Pearl Earring, The Anatomy Lesson of Dr. Nicolaes Tulp by Rembrandt, The Goldfinch by Fabritius and The Bull by Potter among the museum’s treasures. Thirty minutes from The Hague is the town of Delft, celebrated for its connections to Johannes Vermeer, Delft Blue pottery, and the Royal family. You will visit the Royal Delft Factory, the last remaining Delftware factory from the 17th century, where you will get to see how the famous hand-painted blue patterns of Delft Blue pottery have been created since the 16th century, and admire the painters and craftsmen at work. If you are travelling with children, we will make sure you stop in Madurodam, a theme park filled with miniature trees and flower beds, that tells the history of the Netherlands in an informative and enchanting way. A must!